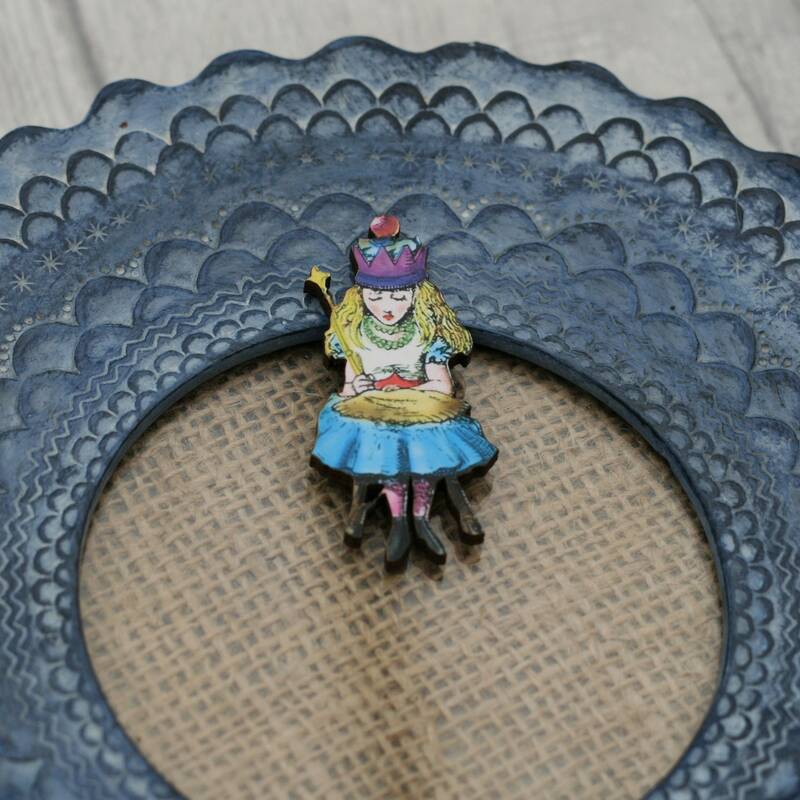 Wonderful Wooden Colour Illustration Brooch featuring Queen Alice from Alice in Wonderland. Original drawing by John Tenniel the illustrator of the first books. This beautiful Queen Alice Brooch has been made by printing an original Tenniel illustration to 1/8” (3mm) wood and then laser cutting to shape. The reverse of the brooch is black. A silver plated brooch fitting has been added to the reverse to complete the brooch.